Last year we tried our hand at raising chickens for the very first time. We bought day-old chicks and raised all that fuzzy cuteness into adult chickens/roosters. We ended up with four hens and two beautiful roosters but someone STOLE both of our roosters! Can you even believe that??! Aaaanyway not wanting to overwinter the hens due to predator issues we sold them last fall after I had preserved many of the excess eggs by freezing them. I used those frozen eggs all winter and about the time my freezer started running low on my supply we decided it was time to raise chickens again this year! 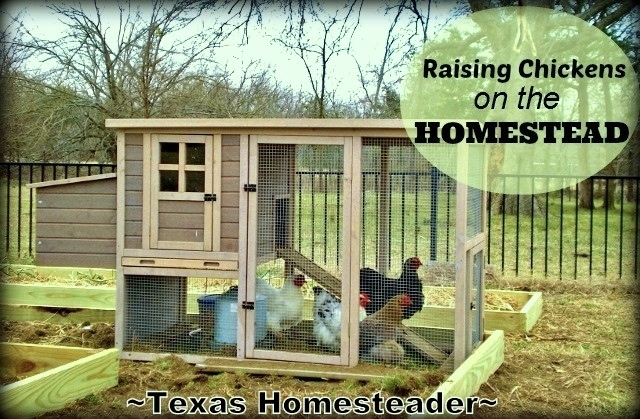 This entry was posted in Blog Posts and tagged Barn, Chickens, Spring on April 13, 2014 by Texas Homesteader. Once Again, We Have Chickens! Last year we dipped our toe into the raising-chickens waters. We bought day-old chicks and raised them until fall when we sold them (we didn’t want to attempt to overwinter last year) Oh how much fun they were to raise! We free-ranged them and they made quite a dent in the grasshopper population and an incredible impact on the fly reduction on our cows in the barn pens. Oh yeah, and they gave us FRESH EGGS! We knew that as spring drew closer we’d consider again if we wanted to raise chickens. The verdict is in: Um, YES PLEASE! 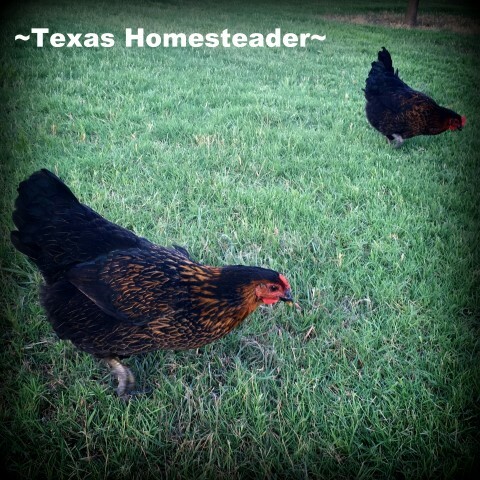 This entry was posted in Blog Posts and tagged Barn, Chickens, Ranch Life on March 9, 2014 by Texas Homesteader. We purchased our piece ~TMR~ paradise back in 2000. It was in pretty rough shape but I could see its potential and the property itself really spoke to my heart. Once I learned that the crumbling 1880’s barn was part of this property the deal was all but sealed! RancherMan & I had the barn’s exterior refurbished, leaving the interior intact. We’ve had ponds, fences & cross fences built, revitalized pastures and spend numerous days clearing these dang Honey Locust trees (we call them Satan trees, I’m pretty sure that’s where they came from!) It’s fun to envision the family that must have lived here, and several months ago I wrote about the Evidence Of A Past Homestead. This entry was posted in Blog Posts and tagged Barn, Ranch Life, Small Town Living on February 25, 2014 by Texas Homesteader. 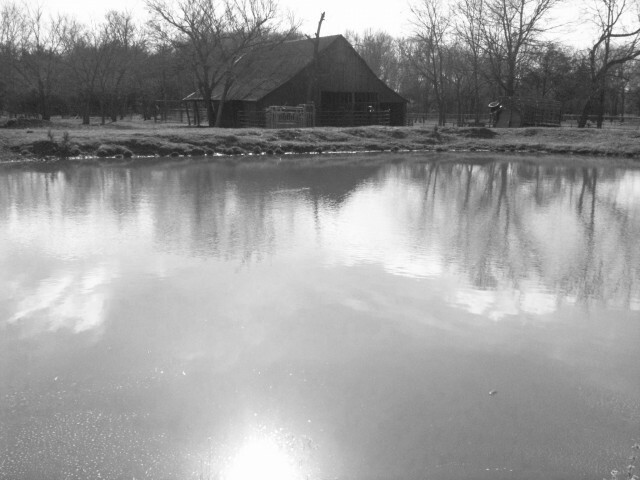 This entry was posted in Blog Posts and tagged Barn, Calves, Photography, Ranch Life, weather, Winter on February 12, 2014 by Texas Homesteader. The weathermen predicted there would be a winter storm hit our part of Northeast Texas, and they even predicted it would include hazardous ice accumulations in our area. But you know how weathermen are, they ALWAYS predict it’s going to be disastrous. My motto is: hope for the best but prepare for the worst. RancherMan & I spent the days preceding this winter storm making sure the animals were properly cared for. We set out fresh rolls of hay in all of the paddocks, even the vacant ones in the event they would be needed. We made sure the goats also had plenty of fresh hay & even packed soft hay into their shelter as well to give them a warm place to sleep. We filled a secondary large feed bucket with fresh hay & stored it in the feed shed so we could easily top off the goats’ hay if the wintery weather lasted longer than expected. RancherMan went to work making sure we had lots of seasoned firewood cut, split and stacked in the wood rack and I cleaned out the fireplace of any residual ashes and loaded fresh logs into it, as well as filling up the wood supply that stands at the ready right next to the stove. Then knowing we had done all we could do to prepare, we waited. 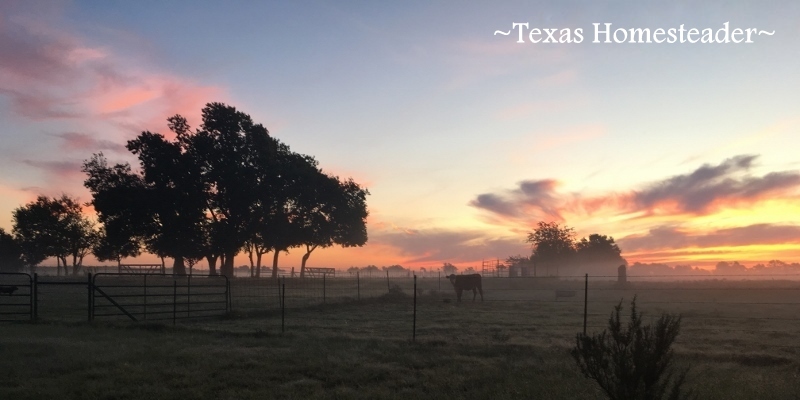 This entry was posted in Blog Posts and tagged Barn, Calves, Inspirational, Ranch Life, Registered Hereford, weather, Winter on December 8, 2013 by Texas Homesteader. 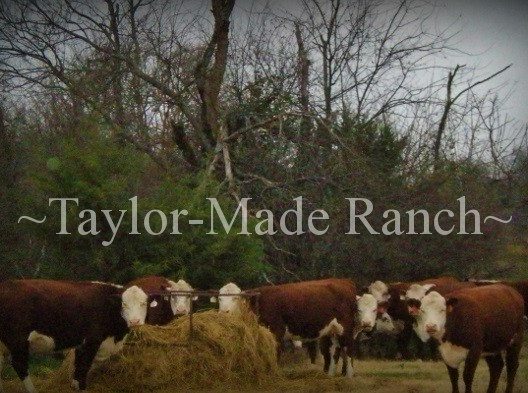 This entry was posted in Blog Posts and tagged Barn, Photography, Ranch Life, Small Town Living on December 4, 2013 by Texas Homesteader. Everything just looks clean after a good rain! 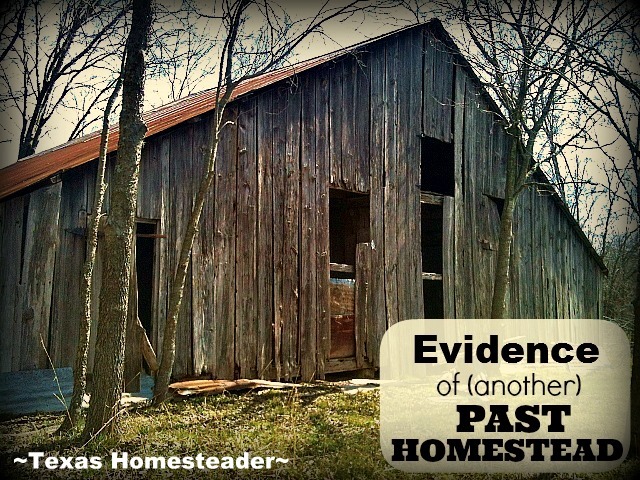 This entry was posted in Blog Posts and tagged Barn, Photography, Ranch Life on October 16, 2013 by Texas Homesteader. This is our first year to explore raising our own chickens. They have been so much fun to raise so far, and they are doing an amazing job of severely reducing the massive load of grasshoppers in our barn pasture, as well as almost eliminating the fly load on our calves when they’re confined here near the barn. Truly organic pest control – I can get used to this! 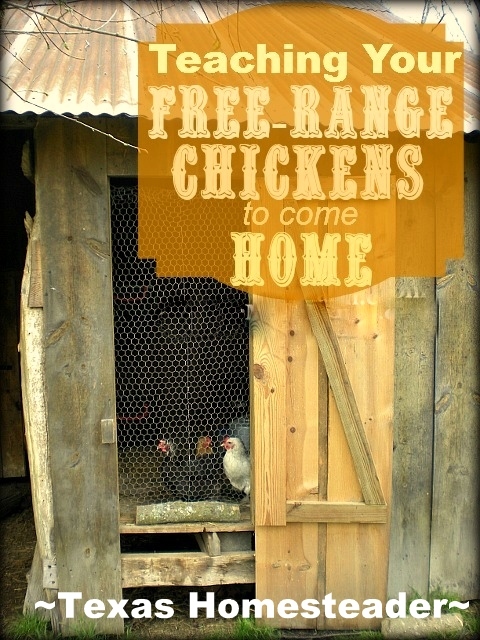 This entry was posted in Blog Posts and tagged Barn, Chickens, Environment, Frugality, Make-It-Yourself, Ranch Life on September 8, 2013 by Texas Homesteader. When we’re weaning calves we like to fenceline them when at all possible. This allows mama and baby to see each other and eases their anxiety during the weaning transition. We typically bring the calves into the barn pen where we have pretty heavily-fortified fences to allow the mama and baby to see each other but the fences are strong enough to keep baby separated. 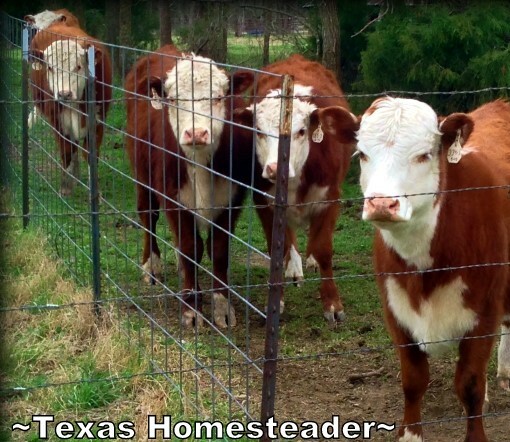 This entry was posted in Blog Posts and tagged Barn, Calves, Ranch Life, Registered Hereford on September 3, 2013 by Texas Homesteader.